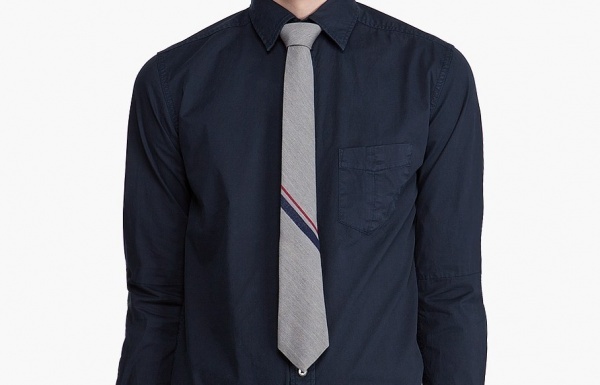 Rag & Bone keep it simple with this signature stripe tie, featuring a minimalist design. The grey neck tie is slim, giving it a slightly youthful feel. Made of wool and silk blend, it keeps the stripes to a minimum, featuring an angled red stripe and an angled blue stripe. Available online now. This entry was posted in Ties and tagged Rag Bone, Tie. Bookmark the permalink.